If you’re excited to get behind the wheel of a Porsche Macan and want to lease this amazing vehicle, now is a good time to get ready for the financial part of the process. 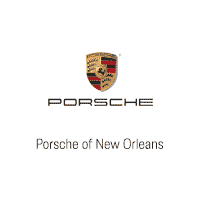 As you shop for Porsche Macan lease deals in and around Mandeville, LA, you want to make sure you can take advantage of a great offer. There are a few things you can do ahead of time to ensure you don’t miss a golden opportunity to get into the car you want. Even if you find attractive Porsche Macan lease deals, do some research to make sure this is the right option for you. Compare the pros and cons of leasing and buying. Leasing will come with lower monthly payments, lower interest rates, and even lower taxes and registration fees. However, when you purchase a vehicle, you can make modifications to it, and you won’t have mileage restrictions. If you figure out in advance what method you want, you can be more decisive at the dealership and move forward with confidence. Even if you think your finances are in good shape, it’s important to double-check your credit score to make sure you’ll qualify for the Macan model you want. If you discover that your score is a little lower than you’d like, work with a credit counselor to see what you can do to raise it. Don’t be the Mandeville, LA, customer who gets a big surprise that the credit score will hold you back from getting into the vehicle you need. You know that the dealer will ask you to put down some money when you show interest in Porsche Macan lease deals. The more you can put down, the better off you’ll be in the long run. This will help you qualify for a better model and will even lower your payments. You may want to hang onto the extra cash for other things, but a larger down payment can pay dividends throughout the life of your lease. It’s a good idea to evaluate your finances today and determine how much you feel comfortable putting down when you get to the dealership. Come into Ray Brandt Porsche today and talk to an associate about Porsche Macan lease deals. If you prepare correctly, it won’t be long before you can drive home to Mandeville, LA, in the vehicle you want most.